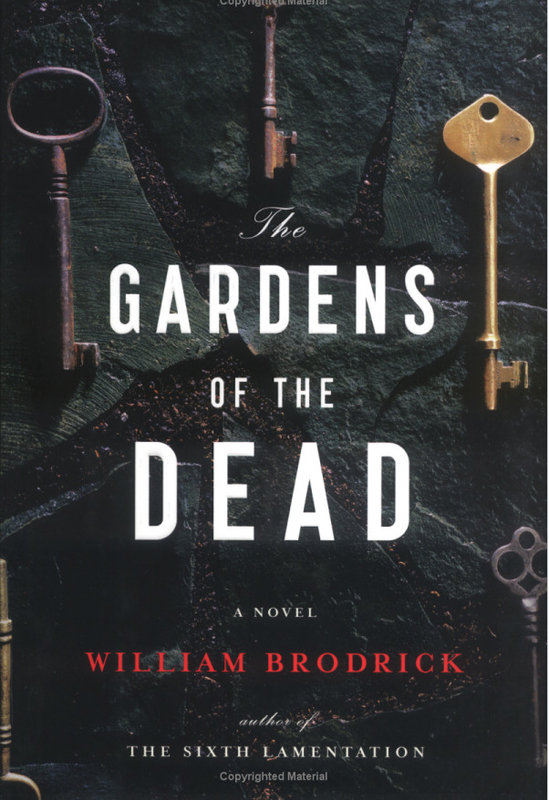 Though attending the mystery con took reading time away, I finished Gardens of the Dead by William Brodrick. It’s the second in Brodrick’s Father Anselm series featuring a barrister turned monk after a disastrous failure in court. Here he finds himself at the center of a mystery involving family, the long tentacles of deception and the relief found in retribution. I found it very dense, the plot unfolding in tiny bits and pieces, characters not communicating so much as wondering, guessing and poking about, sometimes on the same line of thinking, sometimes at odds. The more I read, the better I liked it. Those characters are interesting and well composed, and for me that was the strength of the book. Though there is a surfeit of mysteries from LCC, there were things waiting at the library upon our return, and so I’m tackling those first. All of them, as it turns out, are science fiction / fantasy. 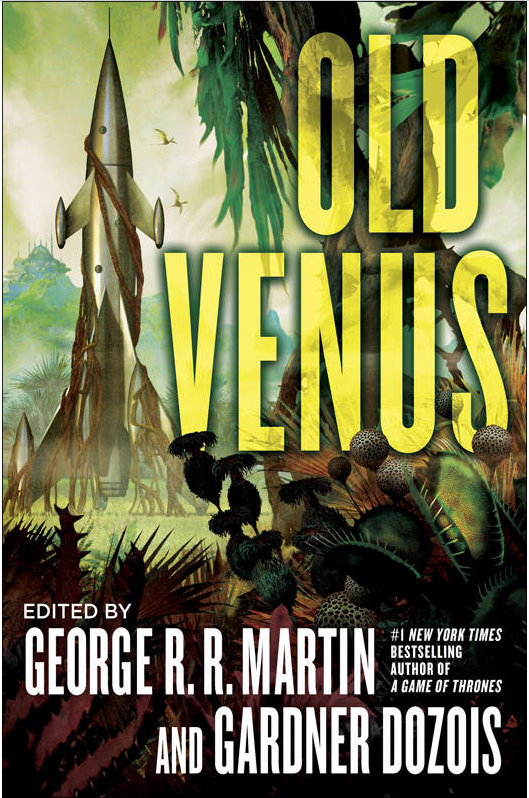 I’m currently reading Old Venus, a short story collection edited by George R.R. Martin and Gardner Dozos. 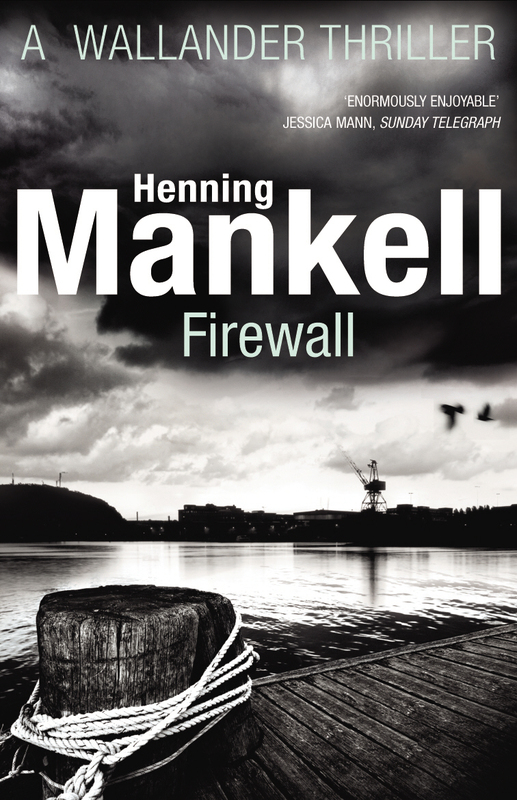 Barbara was reading Firewall by Henning Mankell, a Kurt Wallender mystery, and her first try on this author. However, it was due back to the library before she finished and wasn’t available for renewal. After the con, she got it as an ebook and finished it in our Kindle for the Mac application. She liked it and will read another. She got back to, and finished reading The Skeleton Road by Val McDermid, which also had to go back to the library before she was finished, and is now back. She reads most McDermid’s as released, unless they are short stories. Now another library book has popped up and she has started it. Vampire Cop by Andrew Klavan. Some reviews are saying OLD VENUS isn’t as good as OLD MARS. I’ll be eager to read your opinion. Short story collections dominate my reading right now. But SPRING BREAK gives me a week off starting April 6 so I have a couple Big Fat Books ready to read when I’m off. What with packing to come home and several days on the road, last week was a reading desert for me. I’ve been reading The Thinking Machine stories by Jacques Futrelle. I thought I’d read a lot of them before but so far only one was familiar. I have a long way to go in this massive collection. I’ve more than halfway done with CHUMP CHANGE, the latest Leo Waterman book by G. M. Ford. We finally get to the library today and I have a couple of things waiting, including Roz Chast’s CAN’T WE TALK ABOUT SOMETHING MORE PLEASANT?, which I’ve been looking forward to reading. I did read one book last week, THE PAPER PISTOL CONTRACT by Philip Atlee, an early Joe Gall book set mostly in Tahiti. Parts of it seemed almost like a Matt Helm book to me. I like the series and the fact that these Gold Medal books were well under 200 pages long. Bill, I love that title. Sounds like a bad movie with Nicolas Cage. I should be dipping into OLD VENUS sometime this week, Richard. This past week I was waylayed from finishing NEVERWHERE by CHICAGO LIGHTNING, a collection of Nathan Heller stories by Max Allan Collins. A great collection. (Clearly an unbiased opinion from a Collins fanboy like me 🙂 ) I’ve also been reading some Groff Conklin anthologies; finished one and have one story left in the remaining three. Some great stories in these. The best one was “Project Nursemaid” by Judith Merril from SIX GREAT SHORT SCIENCE FICTION NOVELS — I had forgotten what a powerful writer Merril was. The most powerful thing I read this week was Brian Aldiss’ BROTHERS OF THE HEAD, a 1977 novel about Siamese twins who became rock stars. One of the twins has a third head growing from his body. Aldiss is known for his literary experimentation and this grotesque was a fully satisfying experience. VAMPIRE COP is on my Going-To-Read-It-But-I-Don’t-Know-When list. Bill, not familiar with that one, but I’ll look it up. George, I didn’t read OLD MARS so I can’t compare, but I’ve liked the first four stories in OLD VENUS, which is how far I’ve gotten, so if MARS is better, then I’ll be reading it too. Jeff, I figured your reading would be down a little since you were on the road, but in the evening? Oh, maybe TV. We never turned on the set at the hotel during LCC. I have only read one, maybe two of the Thinking Machine stories, in collections. Massive? He wrote that many? I didn’t realize. We both decided to skip the Roz Chast book, sounded too depressing. The name Philip Atlee sounds slightly familiar, but I’ve not read any of his stuff. An under 200 page book is nice, considering the present length of most books. Jerry, I guess we’ll both be doing reviews on OLD VENUS, it will be interesting to see how they compare. I read CHICAGO LIGHTNING last year and I’m afraid I was unimpressed. I seem to like the older Heller books better, for some reason, and his other series too. I had that Conklin paperback, but it went in one of those purges we book people do every once in a while, sold at garage sale prices, I think. I have read some Aldiss, but avoided that one as too strange. After six hours or more on the road all I wanted to do was veg out and let the television waft over me. I picked up four books at the library (two more are in transit), including the Chast and the new Duane Swierczynski (CANARY), plus the latest Stewart O’Nan book (WEST OF SUNSET). HUSH, HUSH by Laura Lippmann. Hope you like West of Sunset more than me Jeff. It was my first o ‘Nan that didn’t work . The voice never rang true. Richard, I’m reading a couple of short stories by James Reasoner and David Cranmer, and “America, America” by Elia Kazan.